← My misspent youth aka I Love Cars ! Our city has flourished and grown ever since its inception because of its diverse population. They were the essence that added the “flavoring” needed to become a true cosmopolitan city; evidenced by its mix of cultures, its food with thousands of restaurants, and its economy which has profited from Filipino, Chinese, American, European, Jewish, Indian, Syrian and Lebanese entrepreneurs. Some of the prominent Arab families I remember from the Fifties were the Kairuz, the Arcaches, the Ysmaels, and the Awads. One man remains significant in my memory. He was the father of Anita, my very dear friend and classmate from the American School, Mr. Albert Awad. Anita Awad, her brother Ric and I were in the same class, starting from the first grade. It’s amazing now when I think about how far back our relationship started. In those days of course, we never thought about our heritage or what businesses our parents were involved in. We were just kids ! I recall many times visiting them at their home in Forbes Park, the tenth home built in 1953 after the Aranetas and Joseph McMicking started developing the Makati area. Below a view of Forbes Park taken where the Santuario de San Antonio was being constructed. Unbelievably, lots then were offered at ₱4.00/sq.meter. Albert Awad and his five siblings were born in Brooklyn. His parents Essa and Suraya Awad were from Syria. Albert’s brother Sam decided to venture forth, traveling through the Orient after his tour of duty with the U.S. Army. He became a close friend of Gen. MacArthur and was quickly introduced to the city’s social and business community. Sam recognized prewar Manila as a city ripe with opportunities and decided to settle and start his career and family. He returned twice to Manila before war broke out, which separated him from his brothers, Sam and Victor. Because of his affiliation with Gen. MacArthur, the Japanese regarded Sam as an American spy and was later executed. 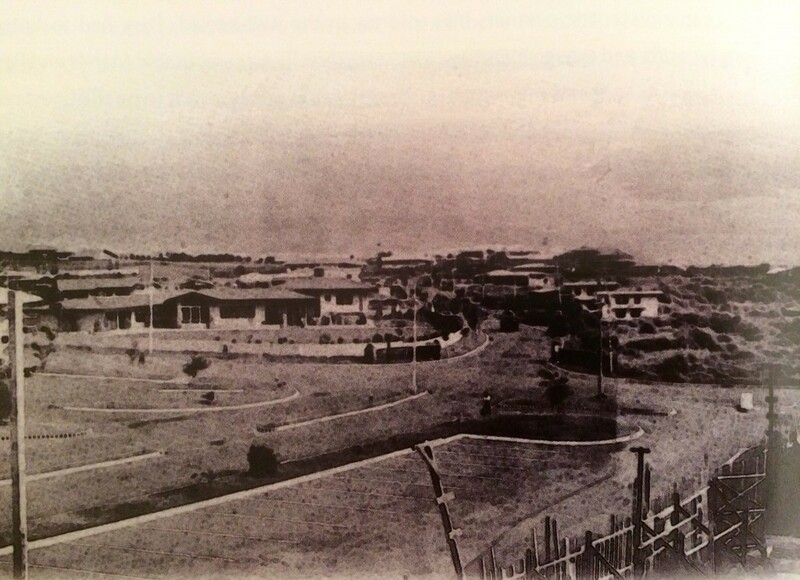 Their families experienced loss, hunger and deprivation along with other Manila residents through the Japanese occupation. While back in the U.S. Albert met the love of his life, Yvonne. 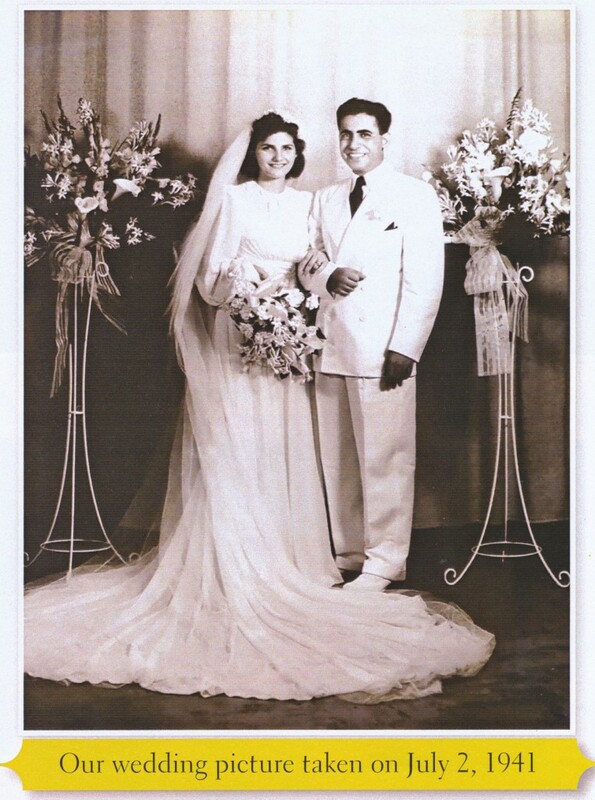 They were married on July 2nd, 1941. They continued to live in Brooklyn until after war ended. In 1946 Albert, Yvonne and their new son returned to Manila and to the total destruction that lay before them. Entering Manila’s reconstruction period, Albert and Victor saw the need for basic commodities, construction materials and even capitalized on foreclosed merchandise in the form of seven truckloads of shoes shipped from the U.S. They were approached by Henry Sy, who had a small shoe store in Carriedo. Sy bought the whole lot. This may have been the thrust Henry needed to build his Shoe Mart empire. 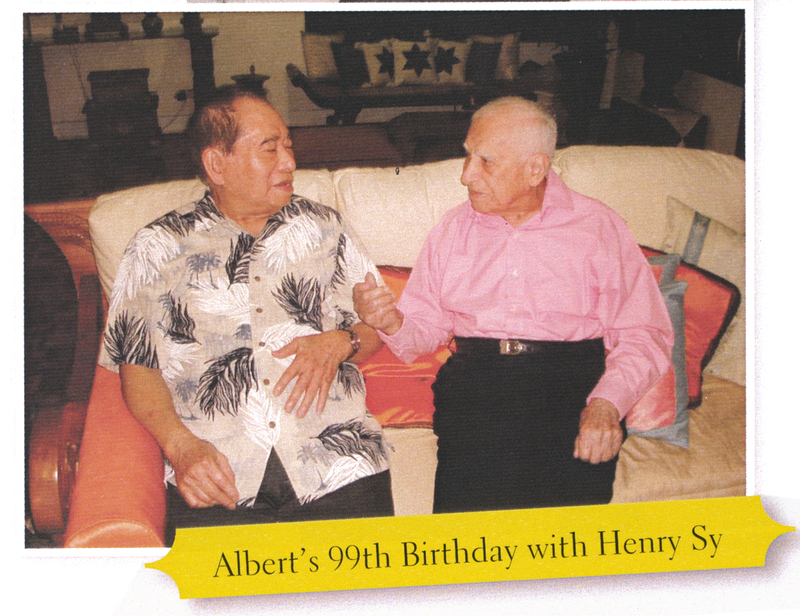 Henry Sy, perhaps the first of the Philippines’ billionaires, and Albert remained good friends throughout their lives. Paul Dib was another entrepreneur, born in Brooklyn of Syrian background, and was a boyhood friend of Victor Awad. He was an electrical engineer and proprietor of an electrical wire and cable manufacturing company in New York. It was the early 1950s and his small firm had done well in the boom after the war, but was having trouble competing with the behemoth companies. He travelled east with the idea of setting up a similar plant in the Philippines where there was a postwar building boom and no electrical wire plants. Victor Awad suggested Paul stop in Manila to see Albert. The two hit it off and started talking about the possibility of opening a factory to produce electric wires to spread power through the city and small barrios. 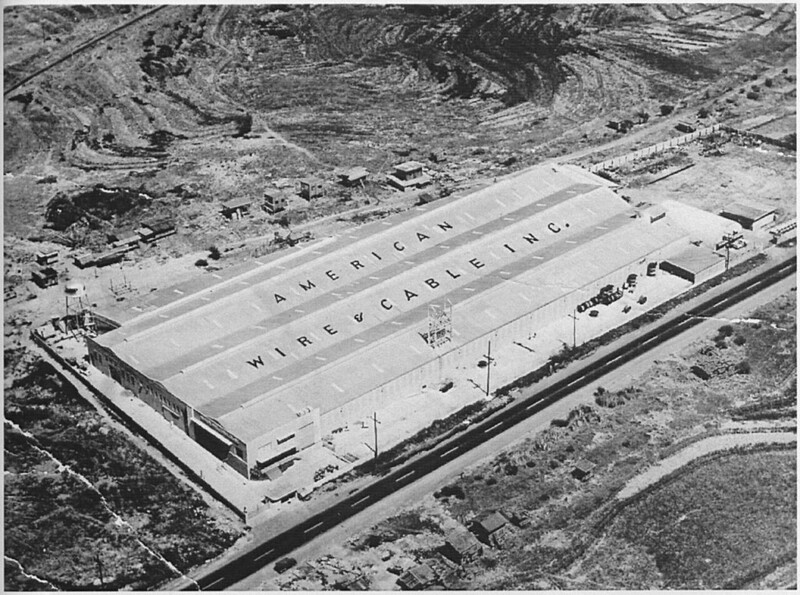 Albert financed the venture and American Wire and Cable was formed. 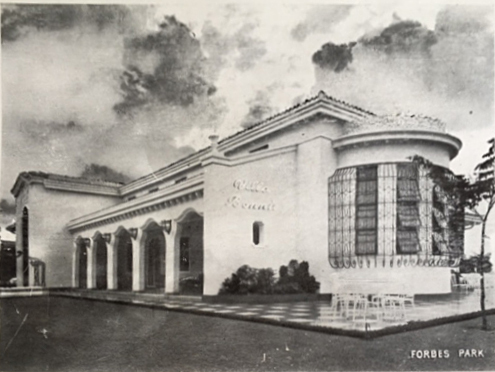 It became the first wire factory in the Philippines and after over 50 years, American Wire and Cable became the biggest producer of copper wires in the Philippines. “Albert and Yvonne were lovely people and helped us all when we moved to Manila. They were certainly gracious. They owned the house we rented in Forbes Park. 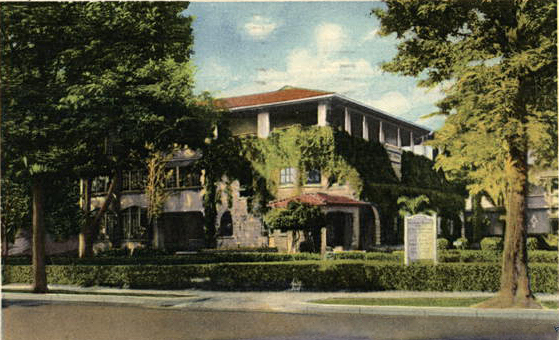 In the end, my parents decided that they didn’t want to be on the other side of the world from their families, so we headed back to the U.S. My father, ever the entrepreneur, put up plants in the Dominican Republic, in the Shah’s Iran, and elsewhere.” – Carol Dib Furer (Paul’s daughter and also an American School classmate of mine). American Wire and Cable Co.
Another Lebanese family, The Brimo family imported men’s linen suits running the business from their building in Binondo. It so happened that Henry Brimo, who was quite the athlete, discovered a huge deposit of gold and copper ore around the hills of Baguio. Henry Brimo and Albert Awad joined together to form Philex Mining Company which has since grown into one of the foremost mining companies in the Philippines. The relationship lasted over 50 years until Henry Brimo passed away at age 95. As kids in school, our weekend evening entertainment was a usual impromptu party hosted at one of our homes. We’d dance to our favorite 45’s and spin them on those old phonographs with the fat spindle in the middle. Coca-colas, potato chips and other snacks were the main fare, not quite nutritious but tasty. Every once in a while, the parents would spring for a more formal affair. The Awads hosted an American School dance one year. Rita Moreno, who won the Academy Award for her role in “West Side Story” was their guest. She wowed everyone, including us kids, as she dragged our rather straight-laced headmaster on the floor and danced the boogie. Albert Awad, 2nd from left in rolled up pants and barong tagalog. His daughter Anita, in the center with white Capri pants. In December 1961, another famous guest dropped by. Paul Anka was appearing at the Araneta Coliseum. Much to their thrill, he accepted an invitation to the Awad home where he spotted the grand piano in the living room. Needless to say, he serenaded the family including two star-struck teenagers, Anita and her sister, Christine. He even signed the wallpaper above their bed. The church was later moved to a site in Makati. A major force and influence in Manila’s business community, a true and generous friend, a loving husband and father, grandfather and great-grandfather, Mr. Albert Awad passed away at age 101, August 11, 2009. 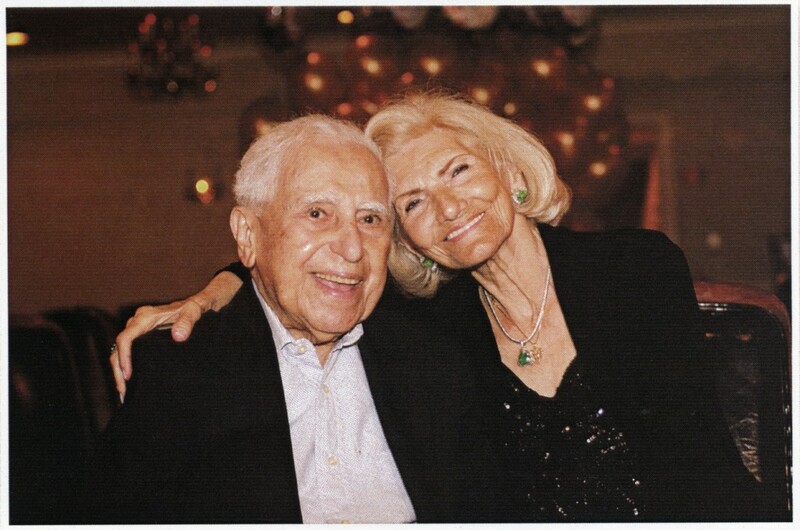 Below, Albert and his wife Yvonne on his 100th birthday. 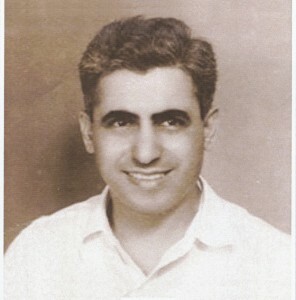 Source: “101 Years Young: the Autobiography of Albert Awad”, by Joseph Assad. Special thanks to: Anita Awad Detert and Carol Dib Furer for their photos and stories. As always, I look forward to hearing from you. I welcome your stories and photos of old Manila. Please write me at: Manilanostalgia@gmail.com or enter your comments below. Most interesting! 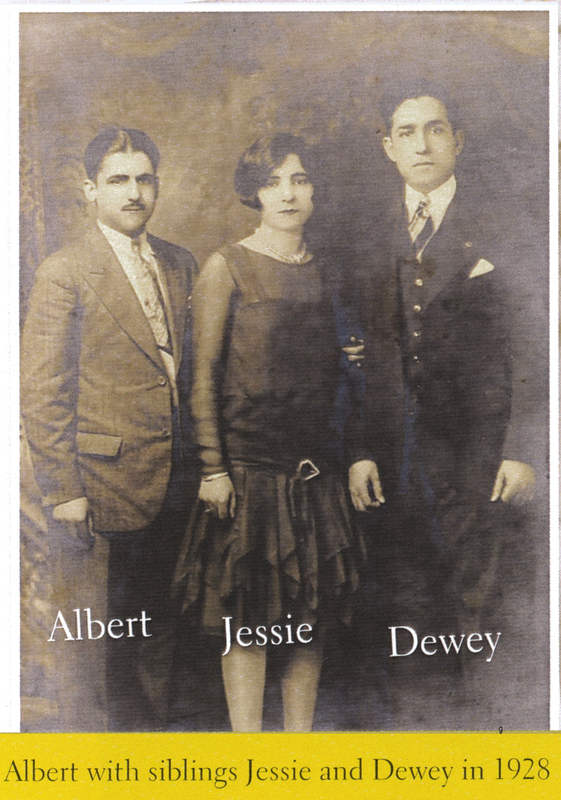 My parents, Floyd and Doris James, socialized with the Awads. 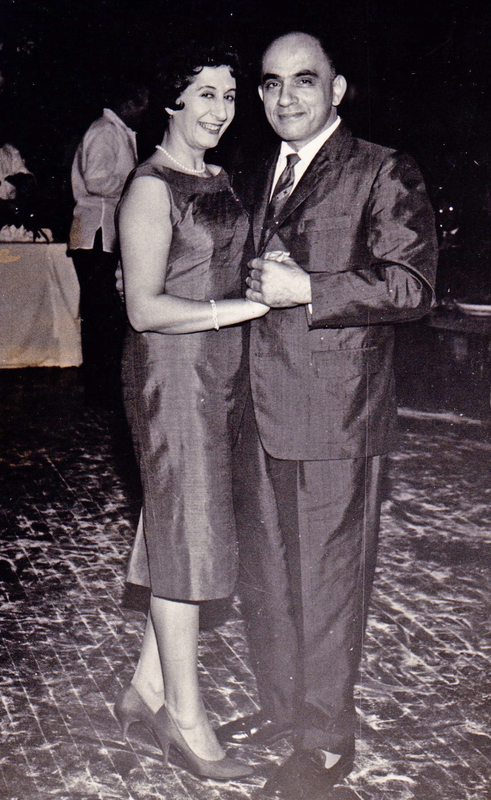 And when I returned to Manila for an extended visit in 1960, I dated Theodore (Ted) Victor Awad!! What fun we always had. He also liked my dachshund, Blitz! Hi, Anita!! Thanks, Lou, for the memories. Wonderful background on Manila’s Arab-Americans & their accomplishments ! I was in the same class as Christine Awad & remember her well. She was so beautiful ! No wonder Paul Anka wrote on her wall ! Good work Lou ! Lou, another fantastic article. You are so right that as kids “we just wanted to have fun.” The background of our numerous friends had no interest but as grow older, it becomes the history that we missed. Whatever happened to Ted? I used to see him from 1964 until ? He was running the company at the time. We saw Ricky last year. Ted and I were great friends in the 70’s 80’s and mid 90’s. I have great memories. I loved his wife Connie. also. I do wonder where and how he is now. Lou I always enjoy and look forward to reading your articles. As I told you before I have learned so much from your blogs. Keep them coming Lou!! Fab article Lou ! Keep them coming! Thanks for posting that Lou…i loved Uncle Albert.. almost every telephone and electric wires you see having above you in the Philippines from Batanes to Tawi Tawi came from Alber Awad’s factory…Amazing. 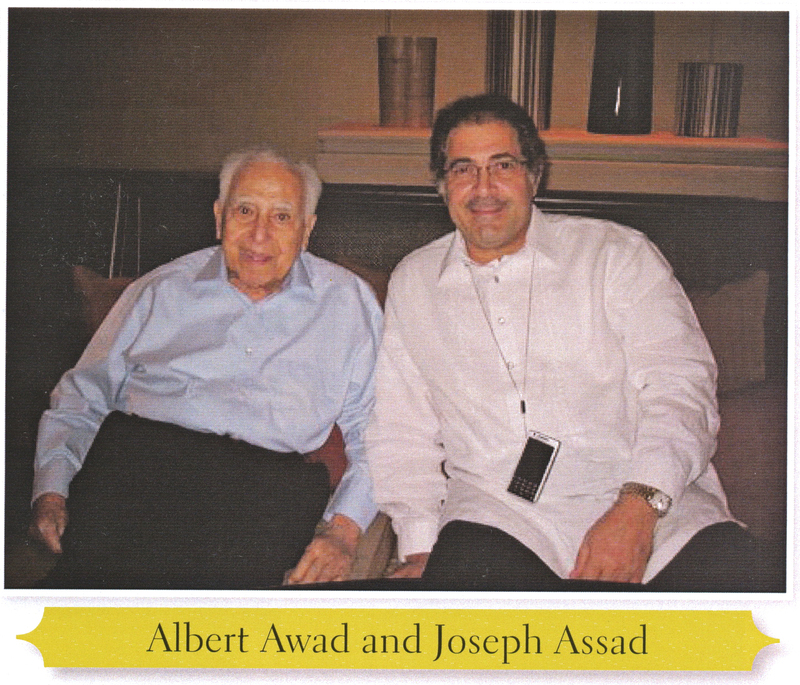 Thank you, Lou, for that excellent article about Albert Awad. I was in 3rd grade at the AS when I first became friends with Anita. We have been great friends ever since. I visited at the Awad’s house often and also attended the Union Church with them. I always felt that Albert was a kind and caring person. As you said, as kids we had no idea what our parents did for a living. Albert certainly accomplished a great deal and is a man to be admired. Of course, no man can do it alone! Yvonne was always by his side and later the adult children. They were an outstanding couple. Ricky sent me this article. I also have memories of Albert. I did some work for American Wire and Cable, and remember Albert, already well into his 90s, climbing the stairs to the office that he shared with his son Craig. Albert would take out his magnifying glass and read the latest business news on the large screen computer. He would carry on an intelligent conversation belying his many years. On Sunday afternoons, Albert and his two buddies, Edmund Dayan and Tony Assad, would sit at a corner of the Cogon Village in the Polo Club and tell stories of years past. I was privileged to be able to sit quietly and listen. Albert was a wonderful and memorable man. Thanks for sharing that Frank. I only wish I could have listened in on those Sunday afternoon conversations too ! What a wonderful story about an amazing man. I spent many days and nights at the Awad’s house as Chris and I were best buddies. They were a warm and welcoming family. I thoroughly enjoyed learning so much about Mr. Awad. Thanks for sharing. I am glad that I found my way here…because I love reading old stories about the Philippines so as old pictures of the old old P.I. Thank you so much sir for putting up a blog where I could easily be informed and civilized about my country. This part is indeed not included in the Philippine history…. History tends to oversimplify so I’d like to correct the record. 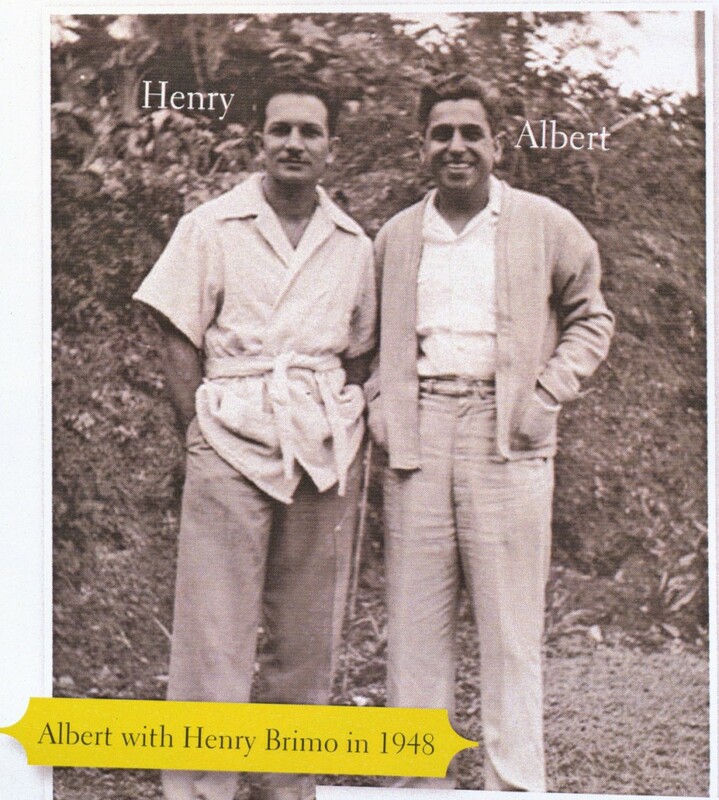 Henry Brimo Sr. was a broker of E. Santamaria and Co. specializing in the US stock market before the war cut that short. He was present when a group of investors considered reopening the Baguio Gold mine after the war. The job of restoring and operating an old, war-sabotaged mine in the remote mountains requiring a certain youthful vigor and trustworthiness, he was elected its president by default. Part of a mine’s normal operations include exploration, which is how a new copper ore body was found, spawning another public corporation to fund its development: Philex Mining Corp. Anyway, the legacy of his stewardship was countless years of dividends to Baguio Gold and Philex shareholders and their widows, proving the trust was well-placed. As for his origins, as far as I know, Henry Brimo Sr.’s father, Antoine Brimo, was most probably of Syrian origin — the whole region was part of the Ottoman Empire then. Antoine married Frenchwoman Josephine Maillard before settling and establishing a family in the Philippines via the US around the year 1908. An early American passport of Josephine — the Philippines was part of the American Empire then — shows her place of birth as Constantinople. I never heard her speak anything but French. Henry Sr. considered himself French. I consider my dad as a Filipino of Franco-Turkish origins. I have met Albert Awad, of course, remembering him as a slightly older than his 1948 picture suggests gentleman with an infectious smile. 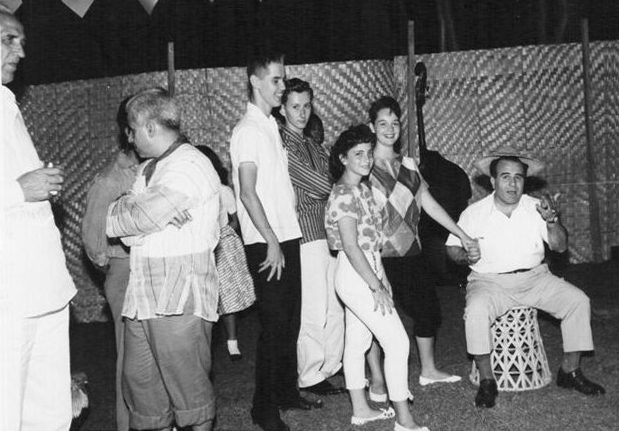 I had the pleasure to meet the Awad family in 1968 in Demerest New Jersey. cherish the memories I have of their family. I Love reading your articles regarding OLD manila. The American Wire & Cable were still operational. I wondered that building was too old. Thanks for the wonderful article! Very nice story.My father is a Lebanese.He was born in Becharre,Lebanon. And my mother is a Cebuana.Dad used to work for Ysmael Steel.During the early 50’s to the late 60’s. Every weekends when i was a kid.We regularly bond with the Kairuse’s,And the Massab’s. At The Massab’s rest house in Montalban Rizal during the early 70’s. Thank you for making this website.It takes me back to my memories as a kid. Interesting too that I read Paul Anka is Syrian from his father’s side and Lebanese from his mother’s. That’s probably why he readily accepted the Awad invitation to stay at their home.